USi provides engineering services and advanced technology products for the electric power industry. Successfully supporting the industry for over 40 years, the USi staff has extensive experience and qualifications in the disciplines of: real-time monitoring, diagnostic, alarm, and control system projects, long-term general maintenance, and emergency support services. USi offers strong electrical and electronic equipment design capabilities, and in-house design and manufacturing of custom engineered systems including custom control software programming. USi is unique: in addition to designing, fabricating, installing, and maintaining custom engineered products including power cable accessories and pressurizing and cooling plants and associated controls, our staff possesses the expertise to integrate with and support your existing monitoring and control systems. USi offers a full range of services from staff training to total project management packages. USi maintains leading-edge core competence in power engineering, cable and accessory design and manufacturing, chemical and mechanical engineering, thermodynamics, computer science, instrumentation, and communication and control systems. Our staff has extensive hands-on experience at utilities, manufacturing plants, laboratory and research facilities, and contractor organizations. In addition, USi has built a staff with extensive experience and credentials, to support advanced software development, microprocessor hardware design, PLC implementation and design, and fabrication of communications equipment. 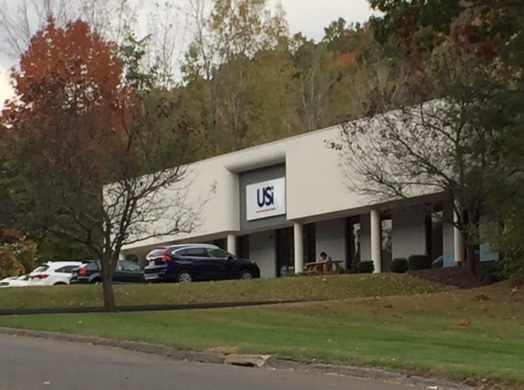 Corporate headquarters for USi are located in Bethel, Connecticut. In-house computer systems incorporate the latest equipment and techniques, capable of providing complete user facility management services including: real-time data acquisition, daily data repository backup services, and detailed on-line and off-line data analysis for numerous utility companies. Our modern facilities include manufacturing and testing facilities in Bethel, Connecticut, Milford, Connecticut, and Randolph, New Jersey, and a satellite office in Ronkonkoma, New York. USi’s manufacturing, research and testing facility in Milford, CT houses a well-equipped electrical testing and chemical analysis laboratory for gas, fluid, and solid dielectrics. The laboratory also performs high voltage and mechanical testing, as well as dissolved gas in oil analysis and soil thermal property testing.